Manny Schulz (Artbeat Studio Board Chair and MB Hydro Corporate Treasurer) has an artistic (and an altruistic) side many people may not be aware of. 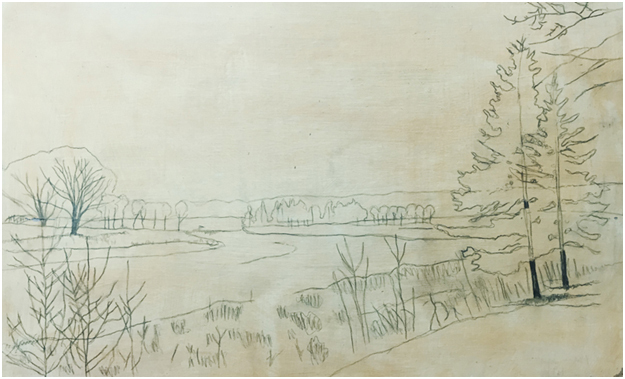 Prior to becoming an accountant, Manny was a freelance artist with an undergraduate degree from the U of M’s Faculty of Architecture. 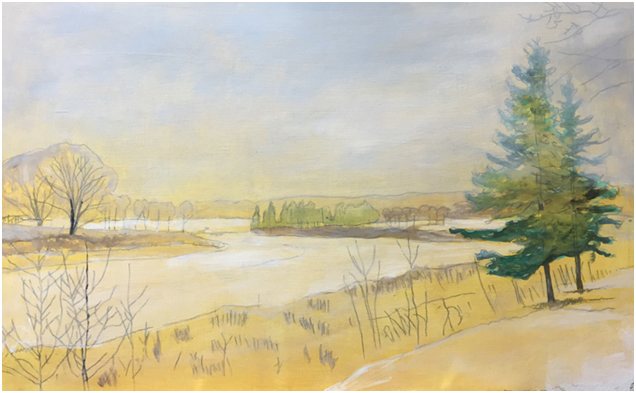 “Last January, after a 31-year hiatus from artwork, I returned to my roots and completed two new paintings,” said Manny, who credits a helpful push from his daughter as encouraging him to pick up a brush again. 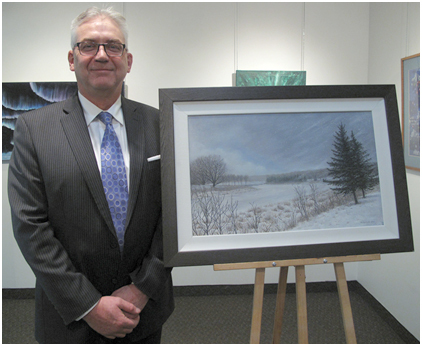 Both paintings; A Winter Walk and The Storm Before the Calm, were included in the 84th Annual Manitoba Society of Artists’ Open Juried Competition & Exhibit in August. A Winter Walk received an Honorable Mention for the best in show. Manny also volunteers his time advocating for those with mental illness — and recently, these two vocations have converged. Manny joined the Board of Directors of a non-profit registered charity called Artbeat Studio Inc. in 2012 as their Treasurer, becoming their Board Chair in 2016. The charity is committed to decreasing the stigma and discrimination that coincides with mental illness and poverty through positive action, mental health education and advocacy. “So many people, through no fault of their own, struggle with mental illness at some point in their lives,” said Manny. “Artbeat gives individuals living with mental illness a supporting community, six months of studio space and an art gallery where they can sell works and empower themselves. “There are many times when people involved in the program have credited it with saving their lives. Sometimes people need guidance and support to help them though a vulnerable time. even though it is hard for me to give up a painting, donating it to such a tremendous cause is something I am happy I can do. 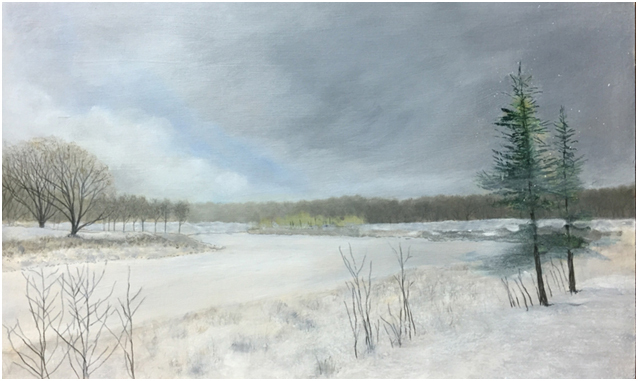 One hundred percent of the proceeds from the sale of Manny’s original painting The Storm Before the Calm, as well as printed greeting cards, will go directly to assist those living with mental health illness. 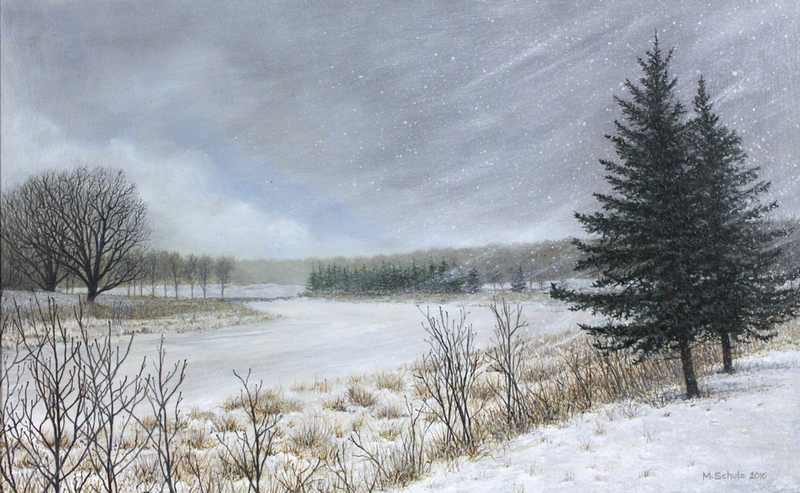 You can find the painting (inspired by a walk in King’s Park last winter) now on display at Artbeat’s gallery (Upbeat Artworks) in the east Portage Place skywalk near Manitoba Hydro. Manny’s glad he’s rediscovered his artistic roots. “I think my next canvas will be about three feet by four feet,” he said. The Storm Before the Calm, Manny Schulz, 2016.